We are delighted to announce that we have completed the second album. Entitled “Raven”, it’s a follow-up to 2016’s Time and Tide. Although a much shorter work in comparison, Raven explores more sonic territory, showcasing some of our hardest hitting and also some of our most ambient/atmospheric material yet. We have been working on this piecemeal over the last 2 years, with lots of ideas being tried, tested and scrapped in the process. The album told us when it was finished and so we recently brought it up to standard and completed it. 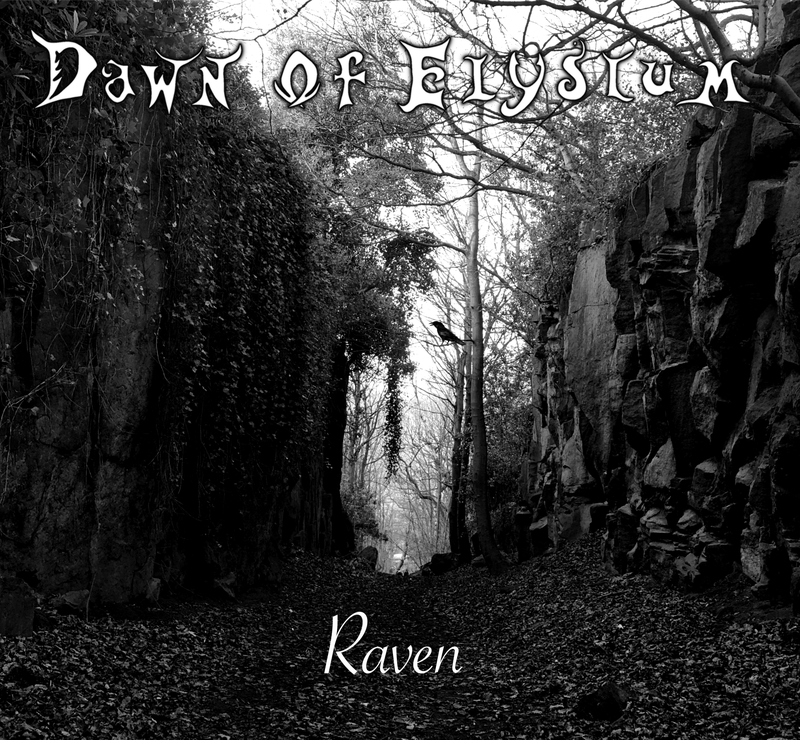 Raven will be available from all good digital outlets (Bandcamp, Apple music, Amazon, Spotify, Google play and many more) and released on CD digipack on 2nd February to coincide with our first headline appearance at Carpe Noctum, the flagship northern goth/alternative night. We have played this event a handful of times over the past few years. It has been our favourite venue and club night and it would seem that we have “earned our stripes” sufficiently to play the headline slot. Howard is a very trusted curator and has very high standards and so we can’t see this as anything other than an accolade. We feel very humbled indeed. The event is at The Library, Leeds and we’re honoured to be sharing the bill with the formidable co-headliners Sometime The Wolf and newcomers The Seventh Victim who are opening proceedings. The gig will also welcome our brand new addition Tim Furze, who joins us on guitar. We initially advertised for an additional guitarist some 5 years ago but never really actively pursued it as there has always been a great chemistry between the 3 of us. Any addition to the mix would always have had to have been exactly the right person both musically and personally. Tim has been a friend and fan of the band for quite some time and after actually only recently learning that he plays guitar, we began the conversation. Beginning with the band just this year, he has very quickly found his place and contributed massively to the sound. Tim also features on the album. We are all very much looking forward to releasing the album and progressing on as a 4-piece. It has given us a fresh resolve and started an exciting new chapter in the band. Coming up in spring / summer 2018 …..
After a personally eventful 2017 with band activities significantly reduced, we resolved this year to change that and get back out playing. After a bit of bad luck with some events being cancelled, we only ended up playing three shows last year, two of which were for our friends at Goth City Promotions. 2018 is already telling quite a different story. On Saturday 24th February, we played our debut in York at The Fulford Arms supporting Leeds punk legends The Expelaires. Opening proceedings was York/Leeds band Void Ship Captains, who play a very atmospheric and enjoyable mix of post-rock, shoegaze and goth. Pretty original stuff. We are very much looking forward to playing with both bands again. We had a fantastic time at the Fulford, massive thanks to Chris Sherrington for putting us on. We’re really looking forward to coming back sometime. Our spring/summer programme of gigs kicks on on Saturday 24th March with a welcome return to The Exchange in Keighley. Haworth steampunk/folky-goth band Black Horse Fairy kindly invited us to help celebrate their album launch. Last time we played in Keighley, we played with them and hit it off rather well. They are lovely people who create some fantastic music. Opening this one are our stable mates Echofire who have a great contemporary rock sound. They are very close friends of ours and it’s lovely to be sharing a bill with them. On Friday 30th March (Good Friday), we’re at Trash in Bradford as part of an all weekend extravaganza called “Easterfest”. It’s our first time at Trash and it looks like we’re on early doors for this one (stage times TBA) but there are some great bands on all weekend from many different genres. On Friday 13th April, we’re back at our spiritual home of The Black Swan, Bradford for the first time since October 2016. The pub has seen a few changes in the intervening time, with it even closing down for a time but we’re pleased to see it back open again and its legacy continue. Special guests for this one will be our good buddies Shane Pain and his eponymous band who have been making waves in the area over the last few months. playing alongside 1919, The (Danse) Society, The Expelaires and The Lost Souls as well as the notorious club night until the wee small hours. I am getting excited about this one, just typing this out! Saturday 16th June we’re playing as part of a very exciting 4 band bill at The Underground. The night is part of a UK tour by Inertia, who are celebrating their 25th anniversary. Also on the bill is US act Android Lustwho is over for her first shows in the UK and London dark electronic band Global Citizen. Friday 22nd June sees us playing our first and only Leeds date of the year so far and at a venue we haven’t played before. We’re on at The Primrose with our friends The Lost Souls. We’d like to extend a huge thank you to all of the bands and promoters we’ve been working with so far to bring this together and as always, we’re open to offers and suggestions of further gigs. Feel free to get in touch. Details of all upcoming and past shows can be found on our Gigs page, so please keep checking back for changes. Following on from our previous announcement of our spring/summer gig programme, we are saddened to announce that the Gene Loves Jezebel tour has been cancelled. Therefore, our York appearance is not happening unfortunately. Hopefully we can re-arrange something at The Fulford for a later date since we were looking forward to playing there. However, we will still be playing on Thursday 27th April a bit closer to home at The Packhorse, Leeds. We have been kindly invited to headline Goth City’s “Black Mass Against The Cuts III” event. Also on the bill are Viet-Bong, Jan Doyle Band and DWB13X which will make for a fun and varied bill. Entry is £5 and as is usually the case for Goth City events, all proceeds go to PAFRAS, which is a cause we fully endorse. The 29th April gig at The Underground, Bradford still stands and we will be bringing you a full headlining set, containing some of our new material as well as old favourites from the album. Support comes from Bradford newcomers Crawlform. DJ Mark (Songs of Preys) will be finishing off the evening with a goth/alternative set until the small hours. Entry for this one is FREE and the venue is open late, so get down for a bank holiday weekend party with us. Regarding the 8th July gig at Wharf Chambers in Leeds, we can now confirm that the event will be Goth City’s “Day Of The Goths”. This is an all day event, which is a fundraiser for this year’s Goth City Festival. We were honoured to appear at last year’s festival as well as enjoy many of the other bands and bills. It’s a cracking line-up, which also features scene favourites Zeitgeist Zero, Quasimodo, The Lost Souls, Jan Doyle Band and The Black Riders Cult as well as DJ’s to follow well into the night. Door price is £10 and doors open at 5pm. We are really looking forward to this and are hoping to have something brand new to release on this date. More news on that later. Details of these and all other dates can be seen on our gig list so please do keep checking back. Summer 2016 is shaping up to be a good one for us with a single release last week and some great gigs coming up. As we reported a few days ago, we released a second single from the forthcoming album “Time and Tide”. “This Rising Sun” is a song which we’ve been playing live for a couple of years or so and one which has been very well received. We initially released it via Bandcamp and shortly afterwards, it was made available on iTunes, Amazon, Spotify, Google Play and a host of other online outlets. This was shortly followed by our previous EP “Trust” being added to the same outlets. So, give us a spin on Spotify. If you like what you hear, show us some love and buy the songs. If you are a DJ who is interested in giving us some airtime, either live or on the radio, then please get in touch and we will provide you with free promo copies. This Rising Sun is an online release only until the album comes out and we have limited copies of “Trust” left on CD which will be available at the gigs whilst stocks last. Saturday, 9th July sees us return to The Exchange, Keighley for the first time since 2013. The Exchange is a great little place, tucked away in the back streets of Keighley town centre. The team who are behind it are some of the nicest people you could hope to meet and the main guy Michael “Mouse” Watmough has been a good friend of mine for about 20 years now. He does a fantastic job. We are lucky enough to once again be playing with the fantastic The Danse Society, whom we were fortunate enough to support back in January at our last visit to Carpe Noctum. Also on the bill are the fantastic Haworth band Black Horse Fairy with their spellbinding mix of steampunk folk rock. This will be a night of great music. We’re on first so try and get there early doors. Tickets are £5, which is very much worth the price of admission for The Danse Society alone. Saturday, 23rd July, we are introduced to great new Bradford venue called The Underground. Situated on Duke Street, the building itself has in the past been no stranger to live music. However, after being left in a severely dilapidated state for many years by the previous tenants, it was recently taken over by brothers Nigel and Matthew Booth and given a brand new lease of life and some much needed TLC. We are very much looking forward to playing and checking out the venue. We are playing with up and coming band F.A.N.S. who have been wooing a few key music industry bods over the last couple of years including 6Music’s Steve Lamacq. Their style is modern dark indie with shades of post-punk very reminiscent of Joy Division. Saturday 30th July we return to The Fenton in Leeds. We love The Fenton as a favourite Leeds drinking destination and great small venue. The event has been put together by Goth City Promotions, whom we are very much in support of due to not only their grassroots support for bands but also their work for PAFRAS, which is a charity very much close to our hearts. 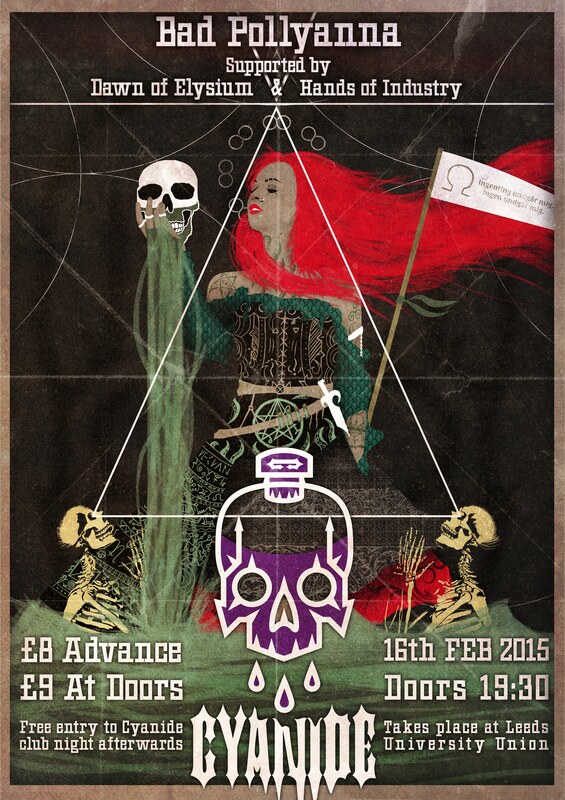 Also on the bill are Leeds goth trio Quasimodo and Staffordshire’s The Glass House Museum. Saturday, 20th August sees us back at our regular stomping ground, The Black Swan in Bradford. Also on the bill are Stoke-on-Trent gothic rockers Lupine, who are celebrating 18 years of existence this year. As is often the case at The Swan, it’s an Under The Gun night with DJ Pinkabelle playing a wide selection of goth and alternative tunes until 1am. As always, entry is free. For up to date information on all of our gigs, please keep checking back. We’re always on the lookout, so if you would like to make a booking enquiry, then please do not hesitate to get in touch. In other news, work on the album continues in the background. It’s now at a reasonably advanced stage and all being well we should be able to get it somewhere near finished over the summer. In addition to this, the follow up release is currently being demo’d as new material continues to develop. We hope you are enjoying your summer as much as we are enjoying ours! We are extremely pleased to announce our inclusion on the first Leeds Goth City Festival. This is a project which is being organised by Goth City Promotions whom we have played numerous gigs for around the city of Leeds. There are some fantastic acts on, spanning three weeks in November. We are on the bill for the main event on the 26th at Wharf Chambers. Stage time is still TBC but keep checking back for details. This 3rd October, we are extremely pleased to be returning to West Yorkshire’s premier goth and dark alternative club night Carpe Noctum. We’re very happy to be sharing a bill with Rhombus and Dead Eyes Opened. We are fans of both bands and were fortunate enough to perform with them last September at the first Library, Leeds based Carpe Noctum. At this show, Rhombus were on as the stripped down acoustic-esque outfit, Grassby and Walker but this time, they’ll be performing with their full line-up. This show is scheduled to be our album launch night so we are aiming to have CD’s and Merch available for the first time (more news on this later). Carpe Noctum is always an early start for the bands and since we’re on first, we’ll likely be onstage at around 7.30pm. Admission is £5 on the door all night. It will be our first gig in quite some time so it would be great to see a few faces early doors! We have been invited by Steve Blackman to play at a 50th birthday bash at the 1in12 Club, Bradford on 4th October. The birthday bash is for Paul Hoggarth and Caroline Morgan and whilst we don’t know them, we are more than happy to help them celebrate. It’s Dawn of Elysium’s first time at the 1in12 and we’re looking forward to playing. This is an all-day event and we are delighted to find out that TV Smith (The Adverts) is on the same bill. We are fans of TV Smith and I can certainly say he has been an inspiration to me musically. It is quite an honour to be sharing the same bill. We are on early doors for this, down to play at 1.25pm. There are a lot of bands to get through and Steve runs a tight ship, so it is unlikely to run late. Tickets are £10 on the door, £6/7 members/guests and tickets can also be purchased in advance from We Got Tickets for £7 + booking fee. Big thanks to Steve for inviting us to play, come along if you can make it.